Wildfires raged Sunday across much of California forcing hundreds to evacuate homes as the most populous US state sweltered in record heat. 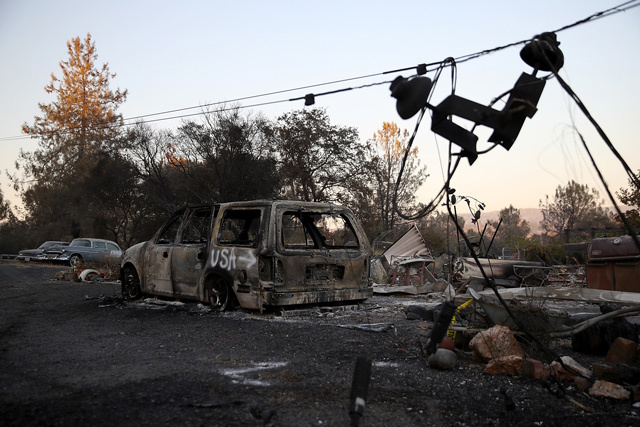 Fire there has burned 23,867 acres (96.59 square kilometers) and was just 10 percent contained, officials said. Meanwhile, the Wall Fire in Butte county in the north-central part of the state saw 4,400 acres (17.8 square kilometers) consumed by flames. 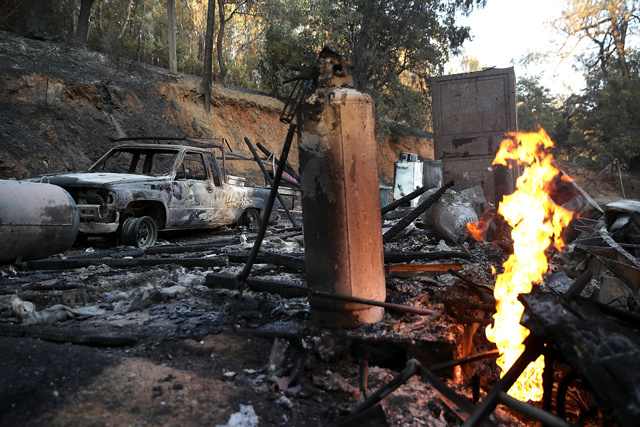 The fire there is just 17 percent contained and evacuations are in effect, Cal Fire said. The Whittier fire in Santa Barbara county in southern California was affecting 7,800 acres (31.56 square kilometers) and was just five percent controlled. Most of southern California including metropolitan Los Angeles has been in the grips of a blistering heat wave, with temperatures exceeding 100 degrees (37 degrees Celsius). California Governor Jerry Brown in April declared the official end of the state's drought that lasted more than five years.